Sonar is probably the most famous electronic music festival in the world, it also is one of the most eclectic – bringing together all kinds of disciplines of music and styles under the umbrella of what is described as “Music, Creativity & Technology”. Sonar by Day tends to follow this ethos more closely than the nightclubby feel of Sonar by Night, and interestingly this year (the 25th anniversary of Sonar) the focus was even more varied than ever. So sit tight as I take you on a world tour of electronic music via Sonar by Day. Absolute Terror – not my feeling of entering through those big gates into Sonar again, but the first act I saw on Thursday. Coming from Spain and creating a style of gothic dance music, this was the sound wafting through the outside SonarVillage as I walked through. I stopped and listened for a while, before heading to my next destination SonarDome, and the sounds of DITC (pic below). This would be a place I stayed a while, as some truly exceptional Japanese and Japan inspired artists performed. First, the aforementioned DITC, otherwise known as Diggin’ In The Carts creator Nick Dwyer who created an amazing set solely from sourcing lost Japanese video game music, highlighting that some of the soundtracks actually made good electronic music tracks themselves. Following this was Kode9, who performed a Japanese video game inspired set with video from Koji Morimoto. The visuals and music here were so intense and inspiring that it already became a highlight of the day. Sinjin Hawke and Zora Jones also provided amazing visuals, though in a different way, they constantly had a camera pointing at them which mapped their features before affecting the information in different ways – here the visuals were as important as the music. 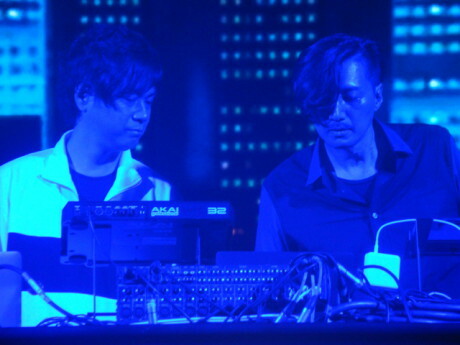 The last of the Japanese trio of acts was really special - Yuzu Koshiro and Motohiro Kawashima (pic below) live. The names may not be instantly recognisable, but to a generation of gamers the sounds would be, as they performed live video game classics to a delighted crowd. After camping out in the dark for a couple of hours it was time to take in some sunshine again outside. KOKOKO! 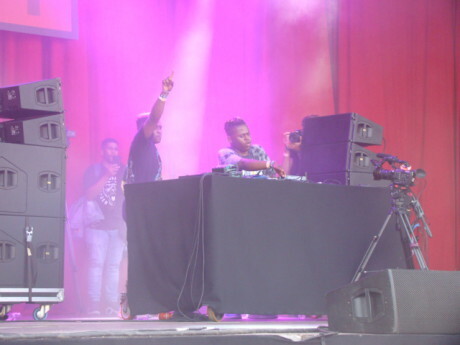 – a group creating an electrifying fusion of post-punk and dance orientated, traditional African music dominated the SonarVillage stage with their largely homemade instruments. SonarHall was the next destination, to see the amazing Daedelus in action. Showcasing another new stage, a kinetic live show named Panoptes, it was a set of blips and breaks, cut ins and mash ups that delighted the crowd as only this talented LA musician can. Catching a little of Little Simz at SonarVillage on my crossover of stages, a change of pace was next, as I had a much-needed sit-down in SonarComplex and watched Nino de Elche & Israel Galvan perform a twisted, distorted form of flamenco, which received a standing ovation at the end. SOPHIE was another visually boundary-pushing show, and one that had the crowd looking on in amazement – quite a spectacle. This was followed by the sounds of Studio Barnhus, accompanied by a troop of dancers, and some exceptionally colourful visuals. 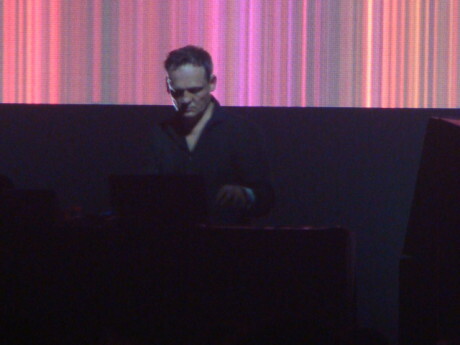 Alva Noto (pic), provided a new show in SonarHall. 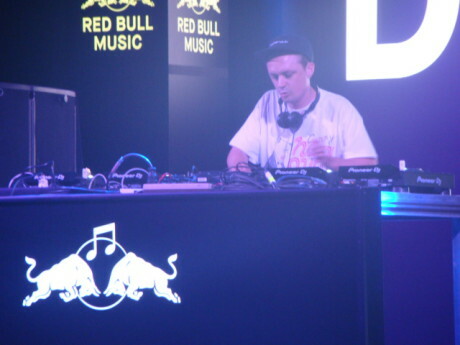 The German minimalist electronic music producer showcased UNIEQAV, and filled SonarHall to boot. Back outside it was Black Coffee who brought the sun down, his mix of soulful house and afro funk soothing the ears while keeping the feet moving. Friday done. Dre Skull brought the big beats early on to the SonarVillage, but I was more interested in heading to SonarHall to see and listen to an absolute hero of mine. 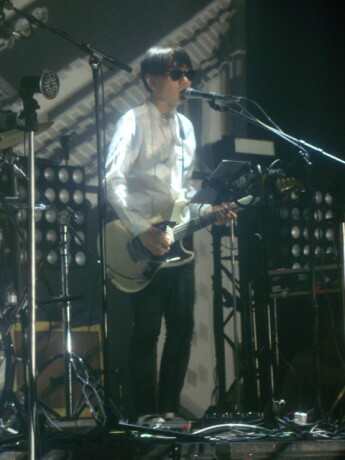 Cornelius (pic) is a Japanese producer, one-time member of Flippers Guitar, and an outstanding live act. He didn’t disappoint as at one stage in his full live band set, the whole stage became a glittering glitterball. There was a genuine feeling of affection between the audience and the performance at the end of the set, and to see it was quite touching. DJ Stingray x Mumdance next, and an interesting collision of bassy beats and techno stylings as the two DJ:s took it in turns to whip the crowd up into a frenzy. Then it was the time of 2ManyDJs. They were simply excellent. Over 2 hours I witnessed a set on a par with Coldcut’s legendary “Journeys by DJ” as the DJ duo (already here with their Despacio project with LCD Soundsystem frontman James Murphy) judged the mood of the crowd expertly and mixed a set of bangers, obscure tracks and even some Snap to great and dizzying effect. 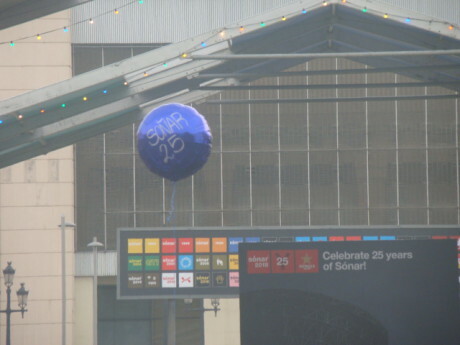 So Sonar done for another year, and though it felt international in flavour in the past, this year really felt global. 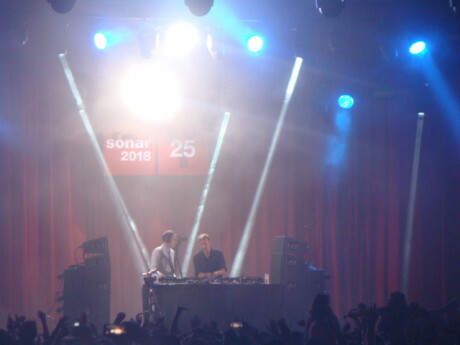 The acts, the atmosphere, the visuals – everything seemed more polished and professional – and with the announcement after the festival that 126 000 people had attended, the biggest in the entire history of Sonar, things look good for the future of the festival. The big news though, Sonar will take place in July next year for one year only. See you then.